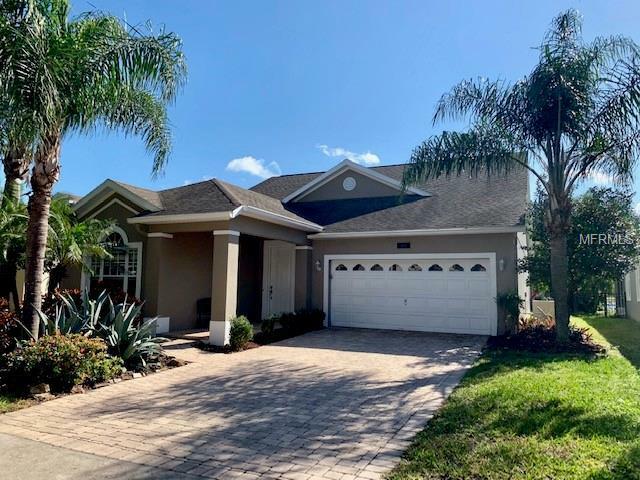 Well kept POOL home in Summerport Community which backs to to Amelia Pond giving you privacy and relaxing full view from the screened patio, with enough space for lounge chairs. One story 3/2 +den which can be used as office, game room or 4th bedroom. Crown molding and high baseboards through out the home, framed windows. Kitchen with 42 " cabinets, stainless steel Kitchen Aid appliances (gas stove), granite counter tops and double deep sink. WALKING distance to top rated High and Elementary Schools. Fishing piers, playgrounds and exercise / bike trails all around the community. Clubhouse amenities include sport courts, Olympic size pool, beach by Walsh Pond, fitness center, space for social events, etc. Conveniently located with easy access to to major highways (FL Turnpike, SR-429, I-4 and SR-408)and minutes away from Winter Garden Village Shopping Plaza, and other facilities as Publix, banks, restaurants, etc.